A leader in luxury leasing, Mercedes-Benz Financial Services is the dedicated finance company of Mercedes-Benz Canada. We offer exceptional programs and services, specifically designed to meet your vehicle financing needs. ** Not all protection products are available in all provinces, on all vehicles or at all dealers. Please contact your authorized Mercedes-Benz dealer for a full list of limitations. You’re seriously thinking of buying a Mercedes-Benz product. Great, we’re delighted. Your next vehicle from Mercedes-Benz Canada Inc. will provide you a total ownership experience that perfectly compliments the expectations of Canadian drivers. The information provided below explains the many advantages of purchasing or leasing an equipped-for-Canada Mercedes-Benz, smart or AMG vehicle from an authorized Canadian Mercedes-Benz dealer. When establishing equipment levels for the Canadian market, Mercedes-Benz Canada chooses standard features and equipment that are best suited to meet the challenge of Canada’s wide-ranging environmental and driving conditions in addition to the needs of Canadian customers. When customers purchase or lease an equipped-for-Canada Mercedes-Benz, smart, or AMG vehicle, they also benefit from the support and service that only Mercedes-Benz Canada and its authorized Mercedes-Benz/smart dealer network can provide. Mercedes-Benz Financial offers very attractive lease and finance rates in addition to loyalty programs. New vehicle promotions, programs, and incentives offered by Mercedes-Benz Canada and Mercedes-Benz Financial in Canada are only available on equipped-for-Canada Mercedes-Benz and smart vehicles purchased from an authorized Canadian Mercedes-Benz/smart dealer. A U.S. vehicle is entitled to the standard 4 years/80,000 km warranty, 8 years/130,000 km emission warranty and an adjustment period of 1 year/20,000 km, once the vehicle has been modified to meet Canadian specifications at an authorized Mercedes-Benz dealer in Canada. Requirements vary by model and may include the installation of day time running lights and changing instrumentation, gear shift selector and certain comfort features. This process can add up financially and take an extended time to complete. After modifications have been carried out, the vehicle must be inspected by a representative of Mercedes-Benz Canada Inc. for which a service fee of $500 applies. Extended Limited Warranty or Star Certified / pre-owned warranties will not be issued by Mercedes-Benz Canada for U.S. vehicles. Mercedes-Benz Canada Inc. provides vehicle owners with Mercedes-Benz Roadside Assistance, 24 hours, 365 days of the year, for four years. Mercedes-Benz Canada’s dealer network is solid, trustworthy and reliable. Our authorized retailers and service centres are guided by rigorous and exacting standards. Mercedes-Benz Canada works very closely with its dealers to ensure that customers have the highest level of confidence, trust and peace of mind when buying or leasing a Mercedes-Benz or smart product. For the dealer, a sale to a local customer is the beginning of a long-term, loyal relationship; for the customer, buying the car locally means a superior ownership experience. Customers are encouraged to buy their car where they intend to service it, as they will benefit from local dealers’ expertise on Canadian-equipped cars and knowledge of Canadian support programs. While it is ultimately the dealer’s decision, there is no certainty that dealers will accept U.S. vehicles as trade-ins. If a dealer refuses to take a U.S. import on trade, trade-in tax credit cannot be claimed on any subsequent purchase. 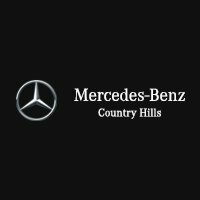 All of Mercedes-Benz Canada’s programs and measures (vehicle specifications, equipment levels, options, residual values, warranties, goodwill, service conveniences, etc.) are based on the particularities of the Canadian market environment and have been designed specifically for the protection, comfort, and convenience of the Canadian customer. We trust that these points will convince you to buy Canadian. We encourage you to visit one of the 54 authorized Mercedes-Benz dealerships in Canada. A sales consultant will be happy to spend the necessary time to show you in more details the significant benefits of buying locally.